Do your kids like pizza? 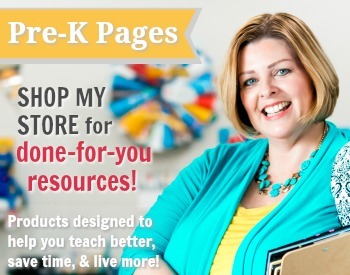 How about pretend play? 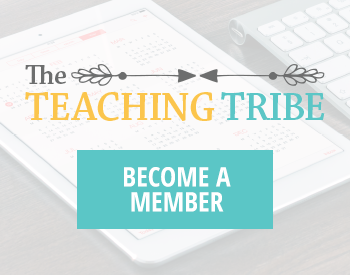 Combine them both and you have a recipe for learning and fun at home or in the classroom! Here’s a printable placemat for the “customers” in your pretend play Pizza Shop. Kids will love drawing on this placemat and “reading” the directions while they are waiting for a pretend pizza to cook. First, print your pizza placemats on cardstock and laminate for durability, or place in page protectors if you prefer. 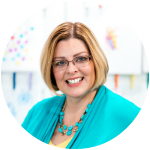 Introduce the placemats to your children and explain how they can be used in the play pizza shop. 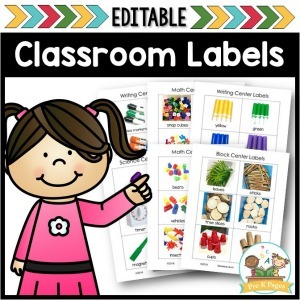 Show kids how to use the markers on the placemats and erase their writing. 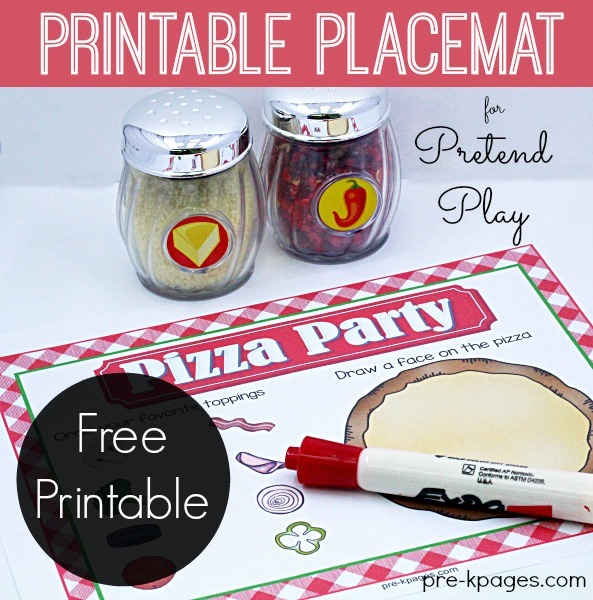 Put the placemats in your pretend play pizza shop and let the fun begin! 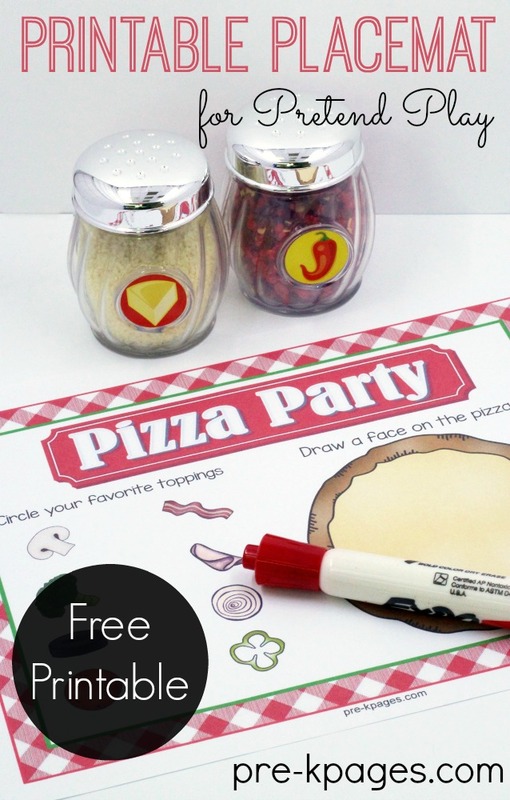 The host and hostess in the pizza restaurant can show customers to their tables and give them menus, placemats, and markers. 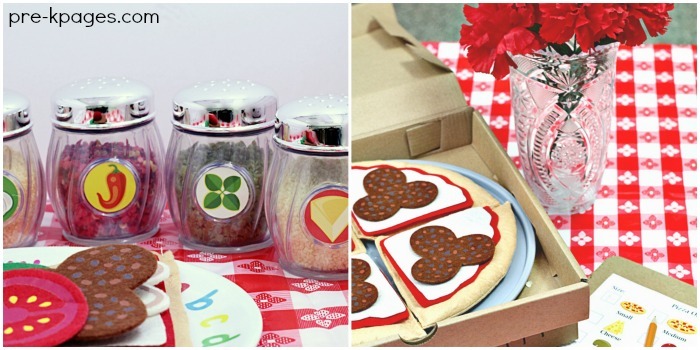 You can spice up your dramatic play pizza shop with some of these fun accessories too! Adding props to your dramatic play center will encourage more authentic play and increase opportunities for developing oral language and vocabulary skills. The more “things” you have (within reason) in your pretend center the more there is talk about with friends. 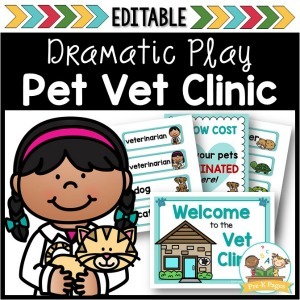 Follow my Dramatic Play board on Pinterest for more great ideas!